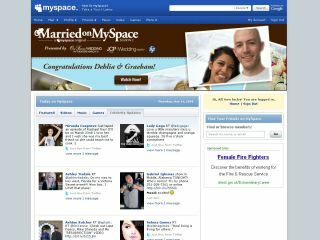 NewsCorp has revealed that it is not putting MySpace up for sale and will continue to develop new services in a bid to win back users. MySpace's fall from grace has been a well publicised one. While Facebook is cementing itself as the second-most visited site in the western world – although new figures show its uptake is slowing – MySpace has been consistently losing members and, along with it, an identity. Speaking to Reuters, Jonathan Miller from NewsCorp said that rumours of a sale were 'fabrications' and that the company was "definitely not in any ongoing talks for a sale of MySpace." Instead there will be a relaunch of the site in a bid to recoup some of the £350 million NewsCorp spent on buying the social network back in 2005. Recent numbers for MySpace show just how big the gap between it and Facebook is. In June MySpace had 5 million UK uniques (according to TechCrunch) while Facebook reported 26 million. If that wasn't enough, Facebook is also now the third biggest referrer of traffic to MySpace.